techniques: slurs, arpeggios, and scales. Spending time improving each of these mechanisms will make playing a lot easier and improve your sound. This is the second of a three-part series that will give you the ingredients you need to build a short warm-up routine. I will introduce several studies of varying difficulty, so choose the examples that best suit your playing level. Arpeggios, in the context of the guitar, refer to using the right-hand fingers to play the strings one at a time. Arpeggios are everywhere in classical guitar, and there are hundreds of possible finger combinations. Before we start, remember (or memorize quickly) that we use the following abbreviations when referring to the right hand fingers: p for thumb, i for index, m for middle, and a for ring finger. This is a really important concept to get the hang of right from the start! Nine times out of ten, when guitarists have trouble with arpeggio accuracy, it is because they are not preparing with their right hand. When you play a simple ascending right-hand arpeggio (for example p-i-m-a on strings 5-3-2-1), you put each finger on its respective string before you begin. Then, one by one, each finger plays its note and leaves its string. In most other types of arpeggios, you will “prepare as you go”, meaning that you prepare each finger the instant that the previous finger leaves its string. For example, in a p-a-m-i arpeggio on strings 5-1-2-3, the thumb prepares and plays, and immediately after the ring finger prepares on string one. After the ring finger plays string one, the middle prepares immediately on string two, and so on. Watching the video is the best way to grasp this! Start with pima, and prepare all your fingers before each arpeggio. For the arpeggios pami, pimi, and pmia, you will plant as you go, one finger after another. For double arpeggios, prepare fully before you start the ascending part, then plant as you go when you descend. I like to use the chords E Major, F# minor (a special version with open strings one, two, and six), G# minor (also with open strings), and end on a different version of E. You can substitute other chords, but make sure to choose chords that are easy for you. You want to put all your concentration into the right hand. Check out this recent article by October Crifasi for a fingerstyle guitar perspective on similar arpeggios. 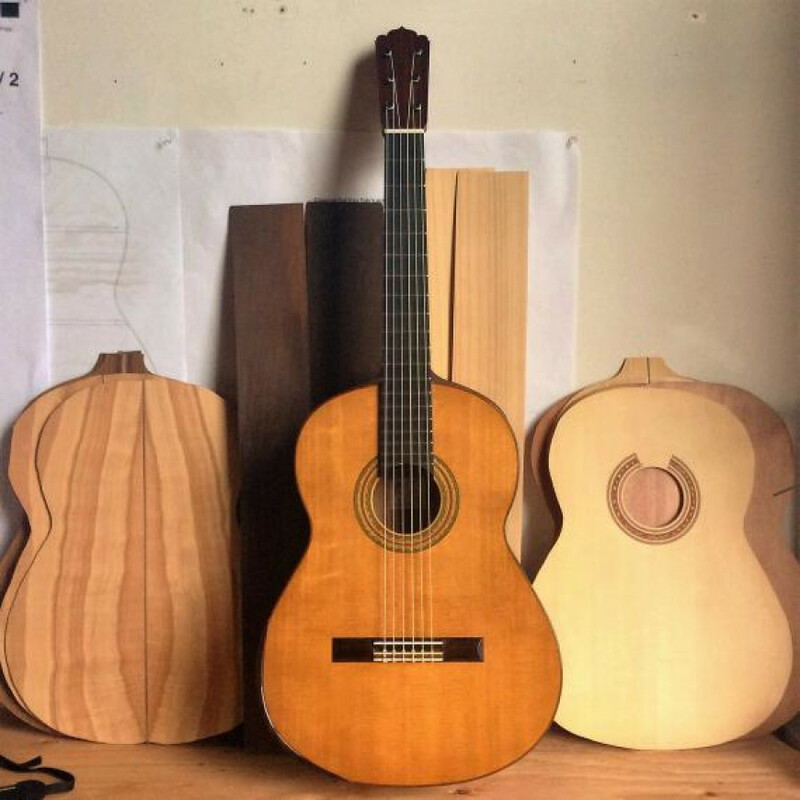 Technical details differ between steel string fingerstyle and classical guitar, but the two styles have many mechanisms in common. These arpeggios use your right hand thumb simultaneously with some of the fingers. The concept of preparation still applies here – you just prepare the thumb and a finger at the same time. You need to develop smooth and coordinated movement between the fingers and the thumb so that they don't interfere with each other. It's okay if the thumb and index fingers touch gently, but don't let them collide and come to a stop. The following special arpeggios involve potentially awkward string crossings and right hand position changes. Prepare your right hand well to avoid finger misfiring! Start out with a slow tempo, and use the prepare-as-you-go approach in each of these exercises. Part 1 of Build Your Own Classical Guitar Warm-Up: SLURS. Learn to play flamenco with Leah Kruszewski this FALL! The group flamenco class starts in October. Sign up now.